George has been professionally developing websites and software for companies worldwide since 2006. With all those years of experience George has become known for his proficiency, attention to detail, and of course his charming smile! George is always learning the latest technologies and furthering his education. He is a Web Developer, Web Designer, Graphic Artist, Marketing Specialist, Social Media Manager, Mobile Application Developer, Windows Application Developer, IT Administrator (Linux & Windows), Database Administrator, 3D Designer, Indie Game Developer, and more. No matter how big or small your project is George is ready to see any aspect of it through! When George isn’t working or furthering his education he is spending time with his family. He also has many hobbies like snowboarding, playing music, cooking (smoking), and football. Go Patriots! Part marketing strategist, part educator, all business. 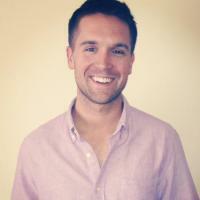 Chad is a proven communicator, lending his social media expertise to Loud Canvas Media. From building out brands and businesses on any number of social platforms from scratch, to giving clients tactics to reach new digital marketing heights, Chad is the guy for the job. He's a practitioner; he's always on top of the digital landscape; and he's focused on the business of attention -- pointing all eyeballs to you--boosting your brand's awareness. Dave is a seasoned web developer with a strong background in designing and creating web applications. His love for coding sprouted from the similarities he found between writing great code and writing great music. His skills range from wire-framing and designing websites to full-fledged web application development. Dave is also a musician, having released a full length album and an EP. Find his music at davecoffin.com. Keith has more than 10 years of experience in marketing and video production. His specialty is in creation of business & internet marketing videos, tv spots, training/instruction videos, real estate tours, infomercials, and wedding videos/photography. In addition to having a critical eye and an acumen for “seeing” how to best promote a business, Keith has a collection of professional video equipment which allows client video work to look like they were created by an Hollywood film crew. If you are looking to revamp or re-enforce your strategic marketing efforts, Keith will make you shine both online and/or on the cable network--and for an affordable price that can’t be beat. Erinn is a self-taught coder with a Bachelor degree in Technology from the State University of New York. Her passion for coding was ignited in 2009 by a Chamber of Commerce's need for a skilled website manager. Since then, Erinn has managed and worked to deliver a plethora of clean-coded, beautiful responsive websites. Erinn enjoys interfacing one-on-one with clients--working hard to realize a vision online as well as reach full value from strategic marketing plans. Justin has been working as a web developer for over 8 years--specializing in technologies such as PHP, mySQL, XHTML, CSS, and the PHP Zend Framework. Justin is a graduate of the University of New Hampshire, where he received a Bachelors Degree in Information Systems Management as well as a minor in Information Technology. He received his Masters Degree in Business Administration in 2012. Simply put, Patrick's designs are "the best of the best." He puts blood, sweat, and tears into every website he creates. He doesn't just develop a boilerplate look and feel; Patrick painfully sculpts his web designs like Michelangelo or Leonardo sculpted their masterpieces. What sets Patrick's web designs apart from the rest is his attention to detail and creativity. He creates rather that painting-by-number. He will design from scratch beautiful, custom imagery and graphics and embed them into and throughout the site; this includes custom-designed banners, backgrounds, headers, and rotating photo promotions--all aimed at making your site pop and stick out among the rest. Patrick's experience started with fashion design before pivoting to graphic and web design. He currently also maintains a healthy passion for interior design, things on 4 wheels, & sunny weather. Shane is all things web: Content Management expert, SEO guru, web developer, Wordpress custom module creator, project manager, and so much more. If a job needs to be done well, we make sure Shane is on it! With over 100 Wordpress sites under his belt, it's fair to say Shane is a master of his craft. Finding the right tools to meet a client's needs is his forte. Additionally. his dedication to get a job done right is second to none: he doesn't settle for 95%... 99%, or even 100%. Shane isn't happy unless you are 150% satisfied with the final product! And he won't rest until you are up and running. Shane's practical approach for matching customer needs to available technologies has proven effective for our clients. 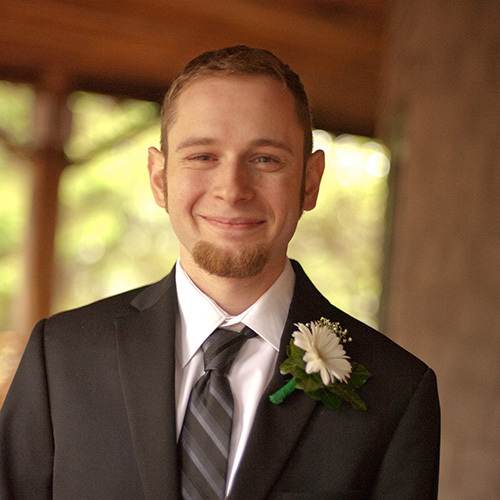 Shane came from a developer/programing background and has worked with companies such as Microsoft and U-haul. He enjoys traveling and has worked in over seven countries in the past five years. Kayla has ventured into many different segments of the technology world, ranging from react, redux, karma, mocha, chai, jest, web pack, Express, Dojo, and MongoDB, HTML/CSS/JS, and Swift for iPhone app development. She stepped into the mobile development realm in 2012--designing a mobile event management system prototype. Kayla is a graduate of Purdue University in West Lafayette, Indiana. She received a Bachelor’s Degree in Business Administration with a focus in Management Information Systems. Bringing marketing and web design together, Dan best shines when he designs for a particular segment or industry. He first began designing websites in 1999 for family and friends. Since then, he has followed the modern web closely, and enjoys pushing the envelope in web trends when possible. Dan’s work focuses on more than just an aesthetically pleasing design. Modern sites need to be lightweight, usable, and designed around the content. Dan Mesa is currently studying to receive his Masters in Business Administration from the University of Vermont. New to Loud Canvas Media, Emma currently has a hand in a variety of roles at the company. She is a very recent college graduate with a English Degree, Communications and Media minor and a strong background in writing. In the process of graduating, she has interned at multiple media outlets from newspaper to radio and is now exploring the of possibilities that Loud Canvas Media has to offer. When not at LCM she focuses on her passion as an amateur videographer, photographer and also enjoys spending time with her puppy, Olive. Sam recently graduated from Southern New Hampshire University with a Bachelor of Science in Web Development and Design. While Sam isn’t working on websites he designs t-shirts, plays tabletop games with friends, and goes skiing. Sean works directly with large and small organizations around the Greater New England area--implementing secure and dynamic websites, instituting best practices, and providing a refined project management skillset. Each and every site Loud Canvas Media launches is personally reviewed and signed off by Sean to ensure the company delivers "best-in-class" products for our clients. Sean is a graduate of the University of Vermont, where he received a Bachelor's Degree in Business Administration with a concentration in Information Systems as well as a minor in Computer Science. In 2011 he completed his Masters Degree in Business Administration (MBA) at the University of New Hampshire.